ClinVar is a freely accessible, public archive of reports of the relationships among human variations and phenotypes, with supporting evidence. We have created a track with 441,959 markers corresponding to the ClinVar entries. Each marker has multiple qualifiers including the ones that describe the medical consequences of a mutation, allele frequencies, etc. 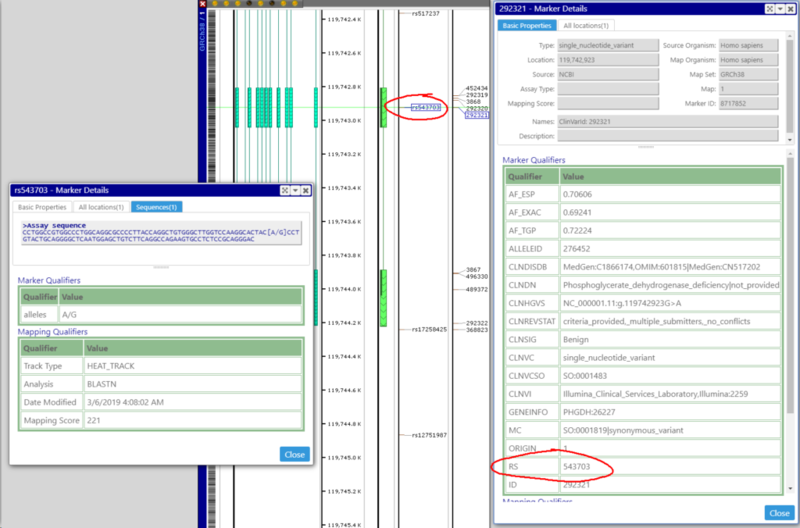 Note, some of the marker positions correspond to mapping locations of the probes from Illumina OmniExpress24 array, for which we also have the assay sequences loaded. The RS identifier will help locating the corresponding probe. The new track will appear in both the Web and the Windows versions.